Set against a breathtaking backdrop of dense pine and eucalypt forests, quilted expanses of sorghum, wheat, and cotton ready for harvest, rock rimmed gorges and meandering rivers and creeks, the Western Downs region is an idyllic location waiting to provide you with the perfect country experience. 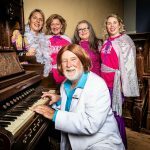 Only 3 hours from Queensland’s capital, the Western Downs is a place of vibrant and distinctive festivals that capture our living history and country ambience; a host to showcases of arts, opera, culture and cuisine. 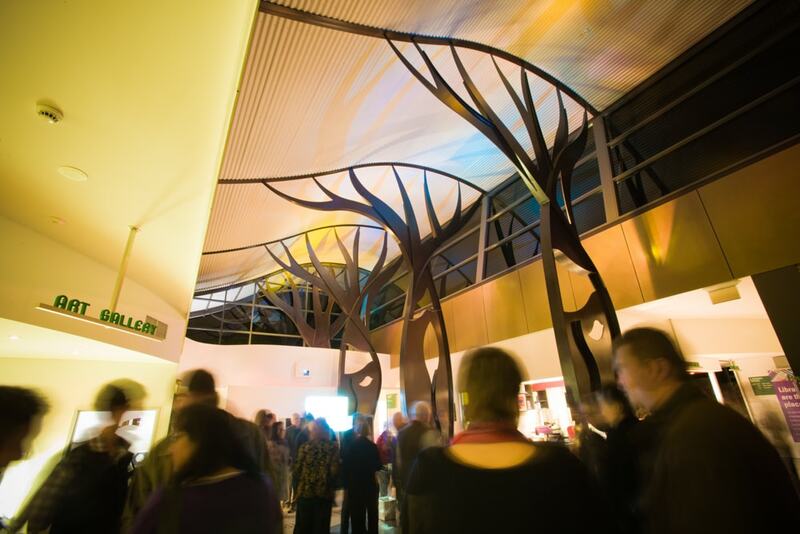 Events like the Chinchilla Melon Festival (next in February 2017), the Miles Beef Bells and Bottle Tree Festival (September 2016), Jandowae’s Timbertown Festival (June 2016) and Dalby’s Delicious and DeLIGHTful Festival (August 2016), are unique to the Western Downs and provide an unforgettable experience. 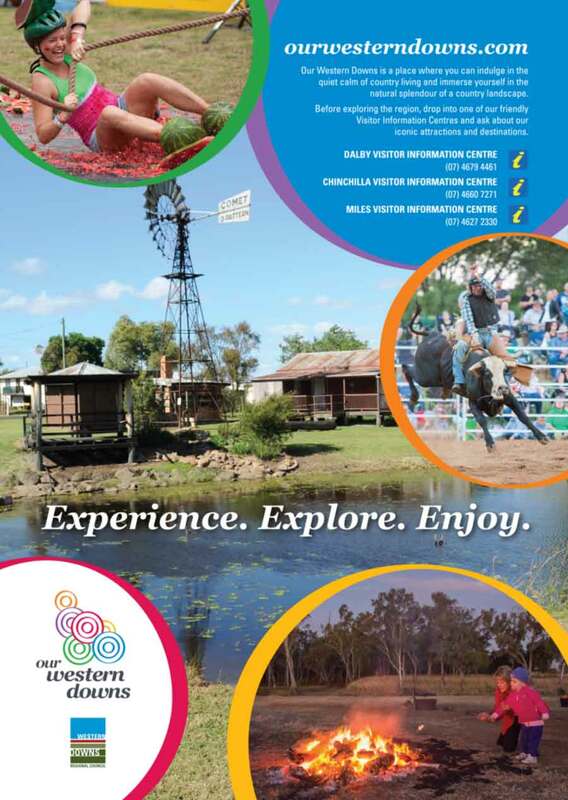 Before exploring the region, drop into one of our friendly Visitor Information Centres and ask about our iconic attractions and destinations. In the Dalby area make sure you visit Lake Broadwater Conservation Park to experience its tranquil surrounds and ideal conditions for fishing and boating. 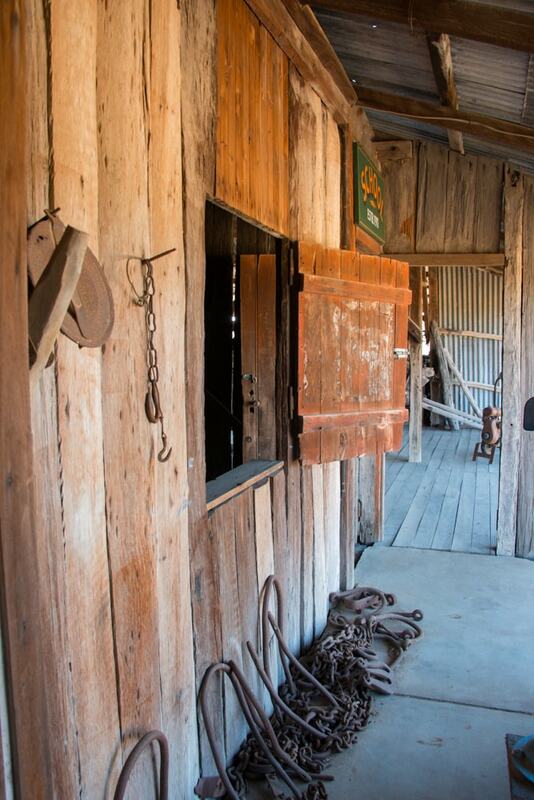 Don’t miss the collections of working agricultural machinery at Pioneer Park Museum, one of the largest in Queensland! Not far from Dalby is the northern end of the Dingo Barrier Fence, the longest man-made structure in the world. 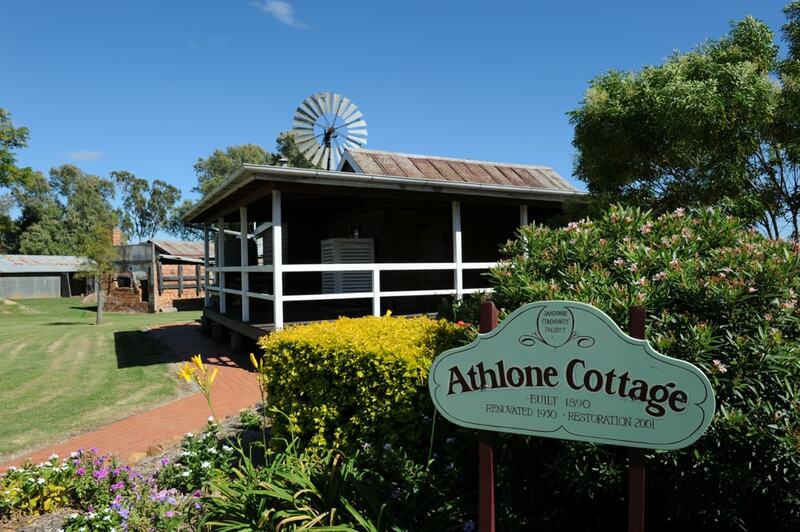 This can be viewed from the quaint country town of Jandowae, and while you are there make the trip to Athlone Cottage, an authentic pioneering building with displays of historical memorabilia. 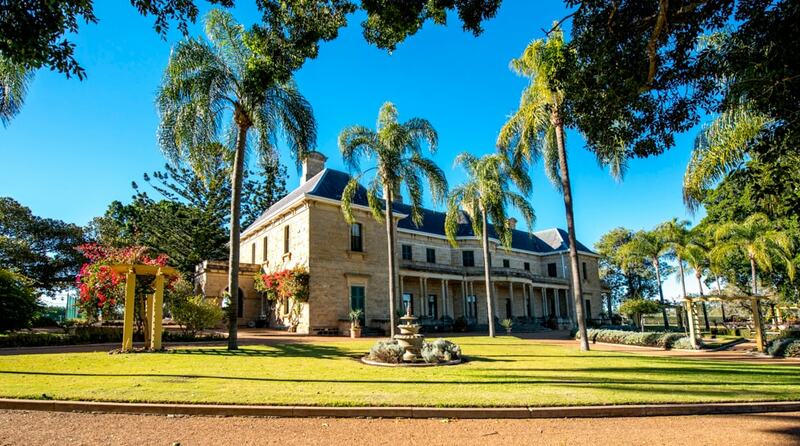 While you are on the historical trek, make a visit to majestic heritage-listed Jimbour House and explore the divine landscaped gardens or follow the interpretive signage on a historical walk through the old bull stalls and wool shed. South of the Warrego in the Tara district is the tiny town of Meandarra where you will find the magnificent Meandarra ANZAC Memorial Museum. 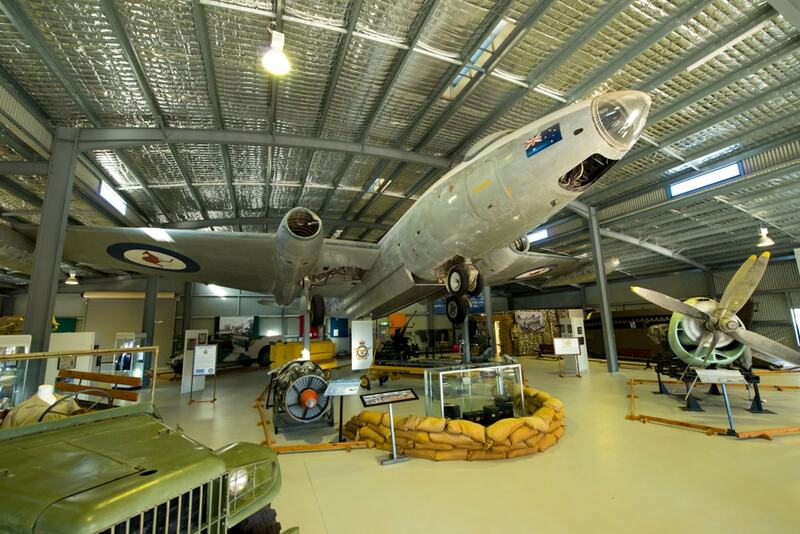 This museum is a must see, with a huge display of armed forces memorabilia including an elevated Canberra Bomber. 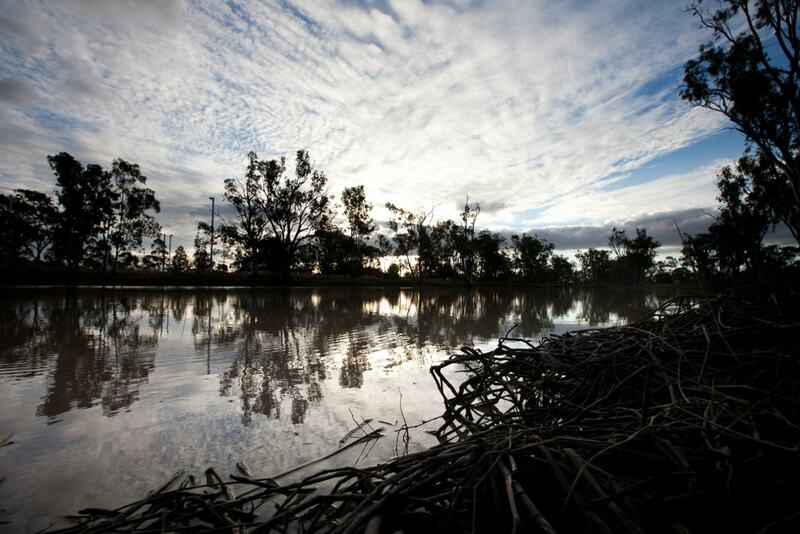 In nearby Tara, pull-up for the night at the Tara Lagoon Parklands to witness abundant birdlife fossicking amongst the reeds, and absorb an amazing western downs sunset in the peaceful parklands. 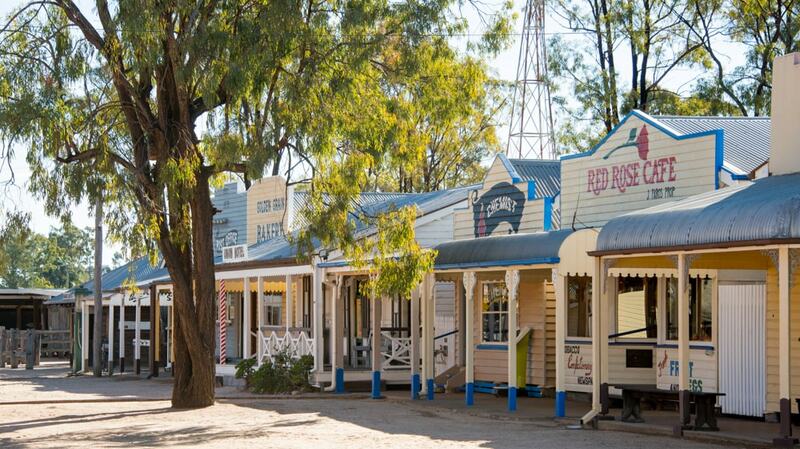 Known as the “Melon Capital” of Australia, Chinchilla is home to the rare ‘Chinchilla Red’ petrified wood. 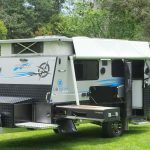 To see samples of this beautiful product, visit the Chinchilla Historical Museum which also houses an impressive Cypress Pine Interpretive Centre and Wongongerra Cottage. In Miles you will find one of the best historical villages in the west. The Miles Historical Village Museum boasts a turn of the century streetscape with over 20 authentic and replica buildings from the pioneering era. Down the main street of Miles, stop in at Dogwood Crossing to discover social history, the local library, and peruse the latest exhibition at the John Mullins Memorial Art Gallery. At the northern end of our region, the township of Wandoan offers a great heritage trail leading to 23 points of interest, including the peaceful Waterloo Plain Environmental Park where you are welcome to park your van for the night, and the well-preserved Juandah Historical Site complete with buildings and structures from the 1850s. 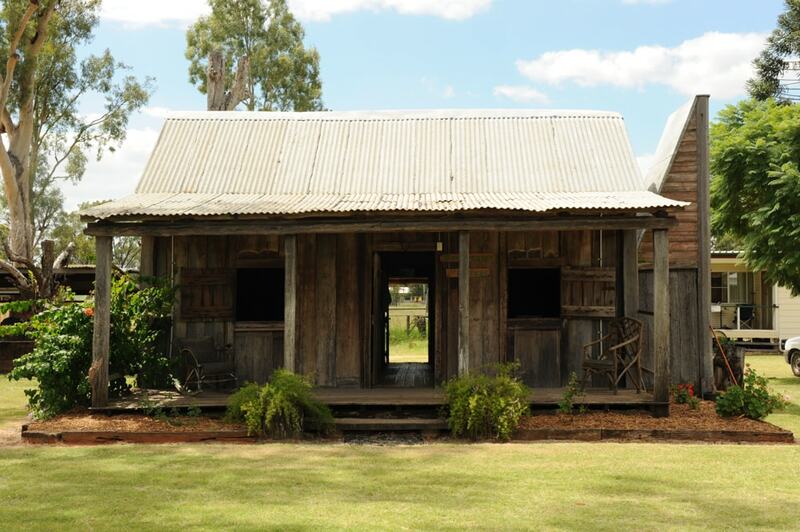 The Western Downs is a place where you can indulge in the quiet calm of country living and immerse yourself in the natural splendour of a country landscape.